Zane by Christie Ridgway is an adventure for the free spirit and those willing to take a gamble on love. This book is fresh, fun, and perfect for a mid-week adventure, are you ready? After ten years in the Army Zane Tucker returned home, back to living in Eagle’s Ridge. A man who loves the outdoors, furry friends and has a kind heart but is surprisingly still single. Ladies, why can’t you catch this man? Sure, he’s a gambler and it’s been known to get him into trouble a time or two, but maybe his luck is about to change? Harper Grace is on the verge of conquering her fears. By day she’s a librarian, but after hours, she’s ready to take on any challenge, at least that’s what she keeps telling herself. There is no place better to do that than Eagle’s Ridge. Afraid of forever being plane and dull, she’s out to organize a charity event. Not only will it raise money for a good cause but force her to take a few steps out of her comfort zone. Now, Harper will have to put her faith in Zane, can she trust him? Can she survive his crazy dog and a town full of gossip? Zane is willing to bet on love, but can it find him a soulmate with as much passion for the outdoors? Can the gambler put aside his wagers for a woman who he can’t live without? If his dog can fall in love with her, it’s possible she might capture his heart too. If only he could stop gambling, it might land him into trouble he can’t get out of. If you haven’t read this series, it’s worth one-clicking to read about a town that has a fabulous history and a group of friends who would defend each other. 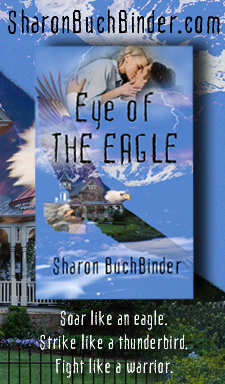 It’s time to meet the soldiers of Eagle’s Ridge and the women who will show them why love is worth fighting for. While this book is part of a series, it can be enjoyed as a standalone. However, it’s obvious that these authors have collaborated beyond the simple plot and character development. This series has all the small town feels, you can’t tell that each author has voiced another’s any differently, I’m in awe. It’s not often you can pick up a book with characters that were crafted by another author and still “feel” they are maintaining their original voice. I highly recommend enjoying this series in order for to maximize your enjoyment. Today I wish Zane a happy birthday. Is love on the horizon for the last Tucker sibling? Surely if they can find love, he can too. So, pack a lunch and bundle up, Zane is ready to show you his Eagle’s Ridge. A place where you raise your family, spend time with your friends and fall in love. Are you ready to place a bet on who finds it first? This story is pretty hot with content for mature readers 18+. I received this ARC from Inkslinger PR for a fair and honest review. I received an ARC from Inkslinger PR for a fair and honest review.